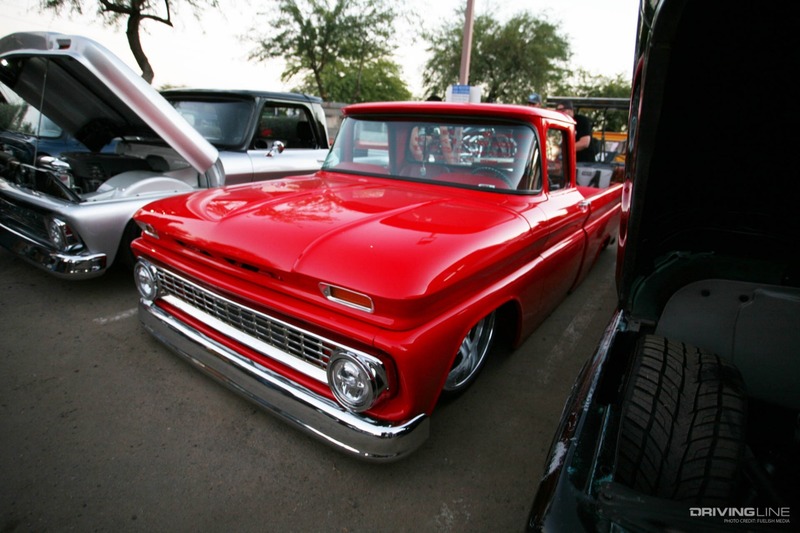 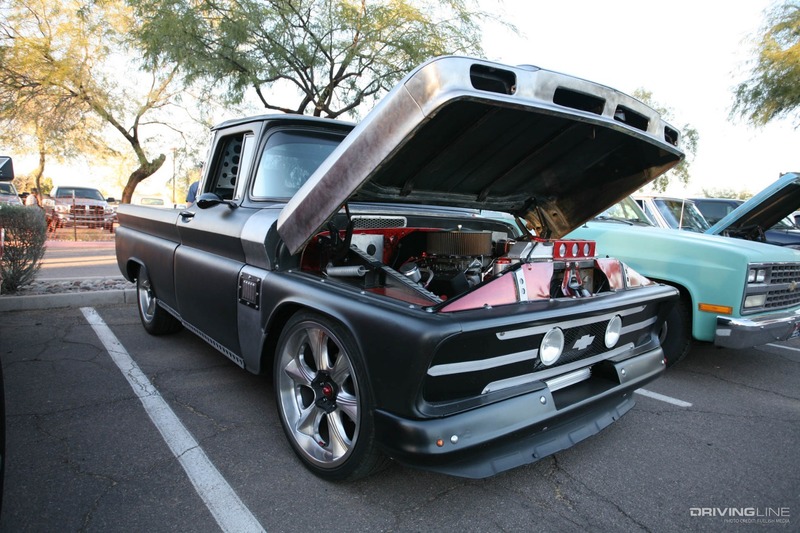 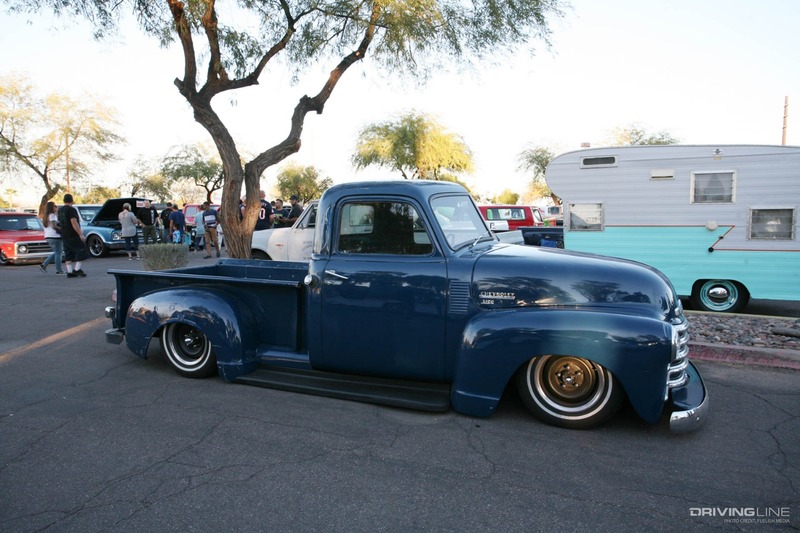 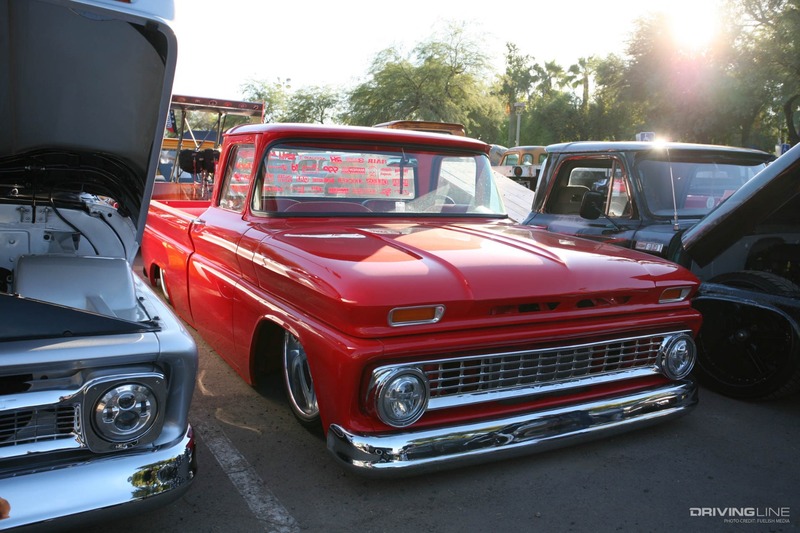 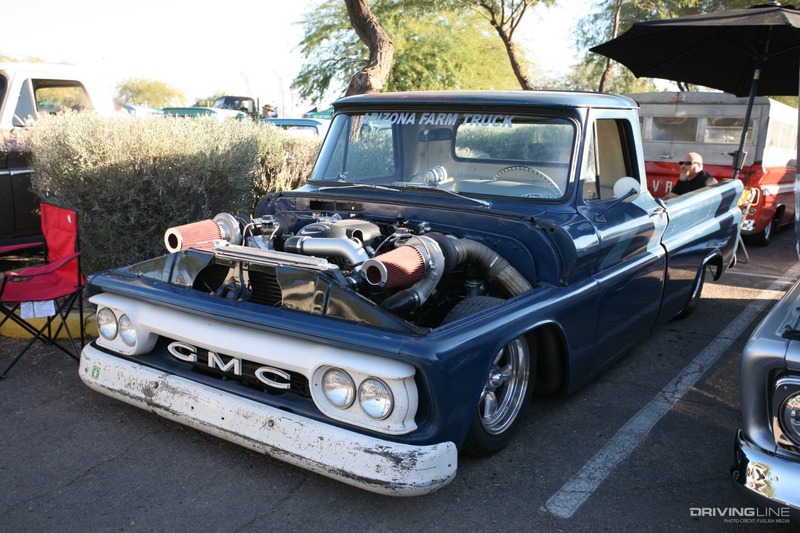 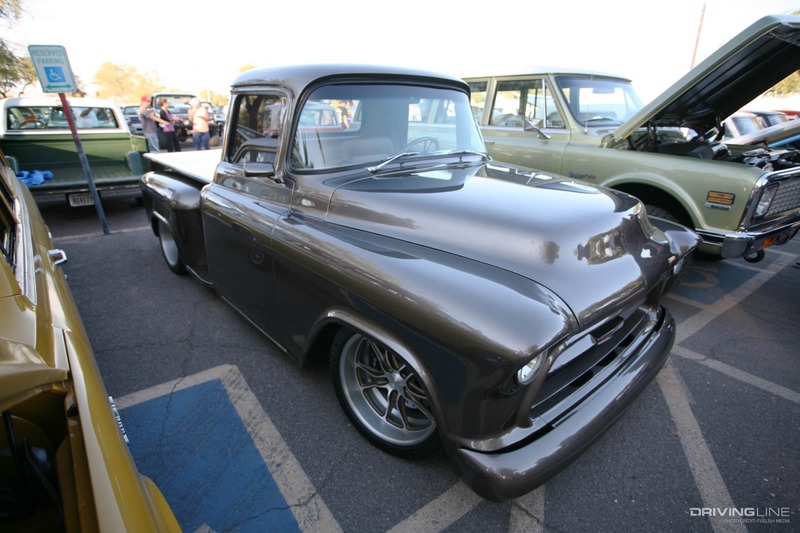 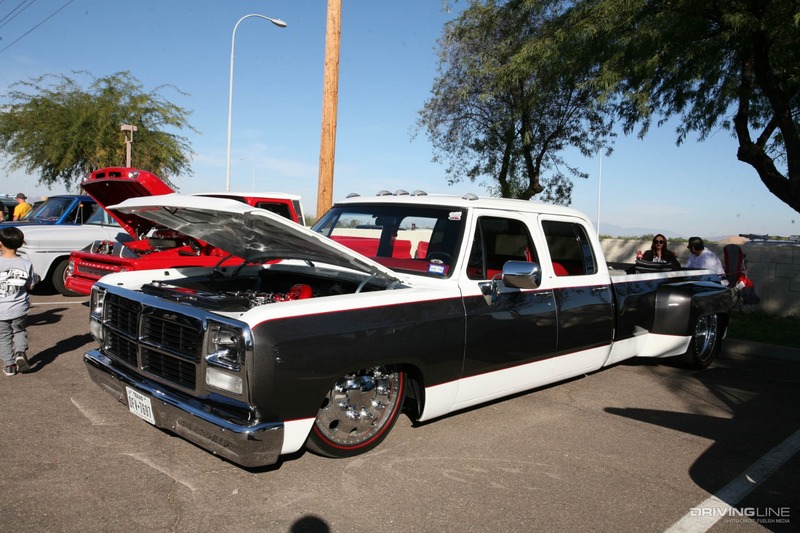 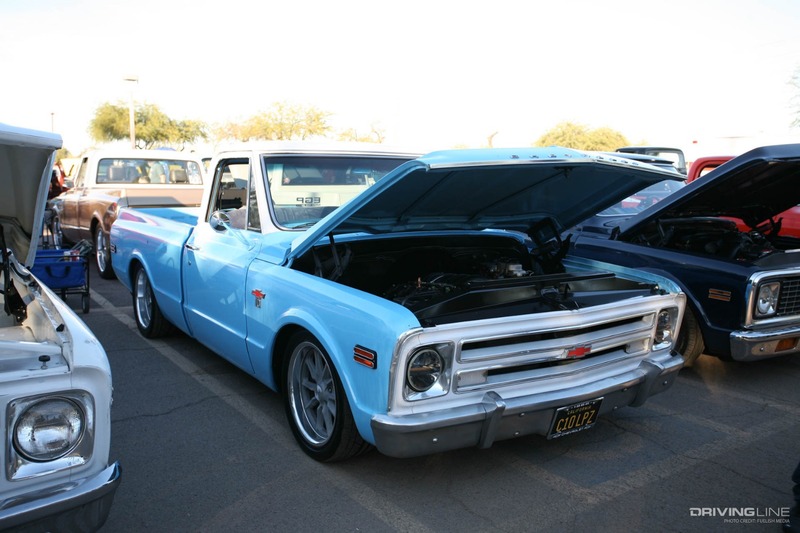 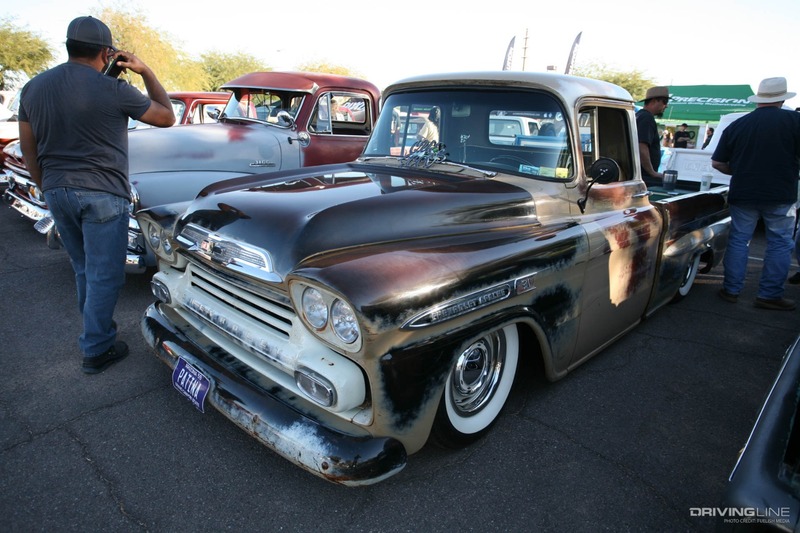 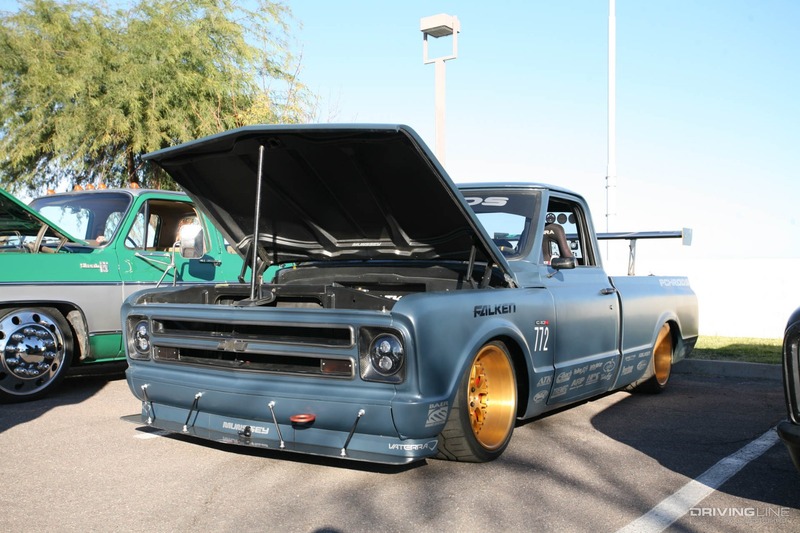 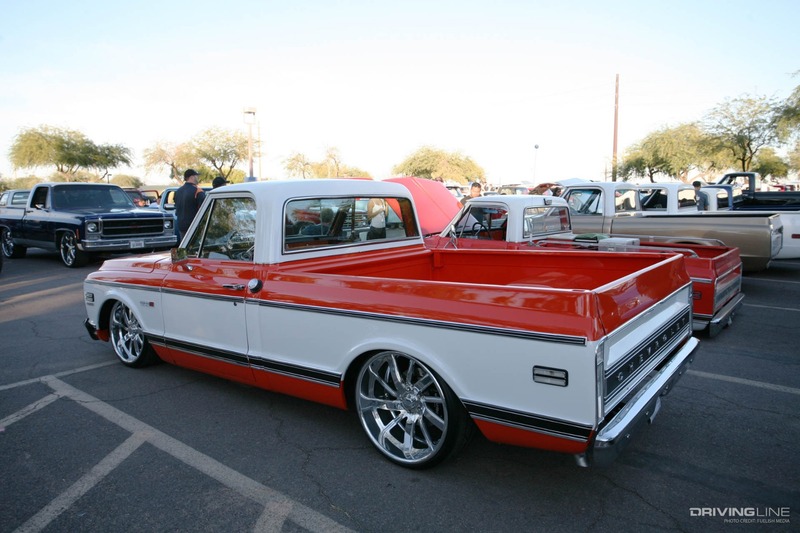 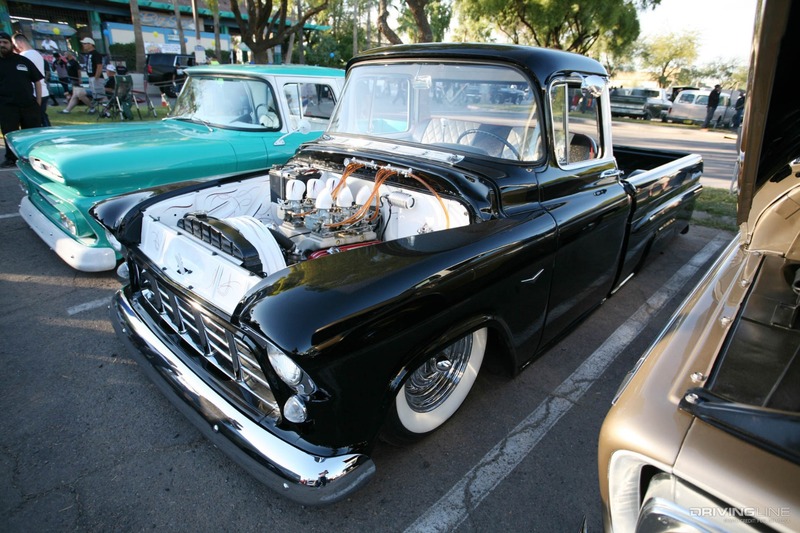 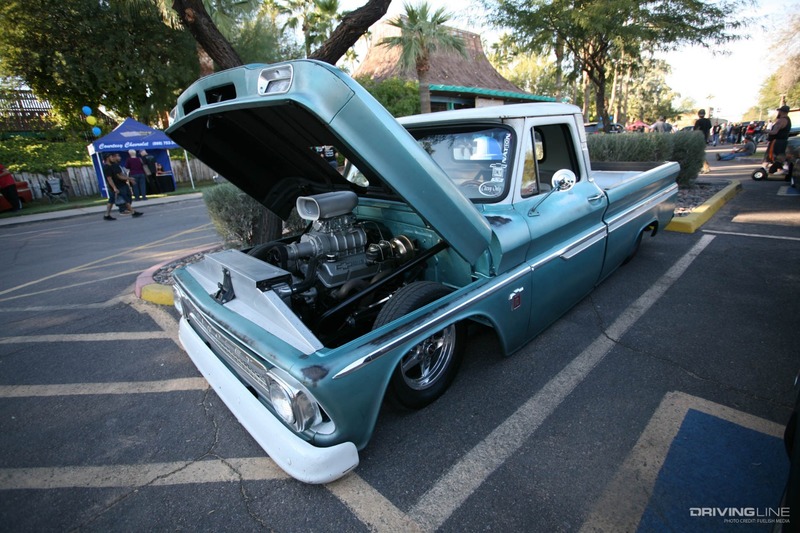 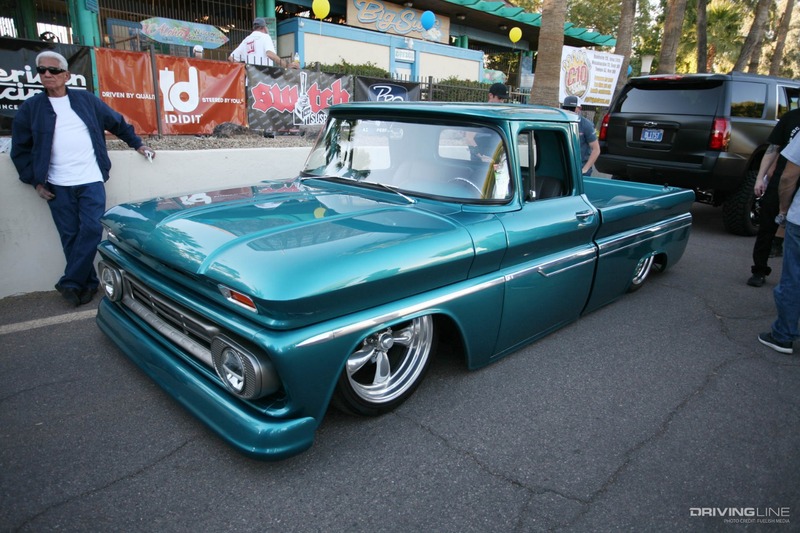 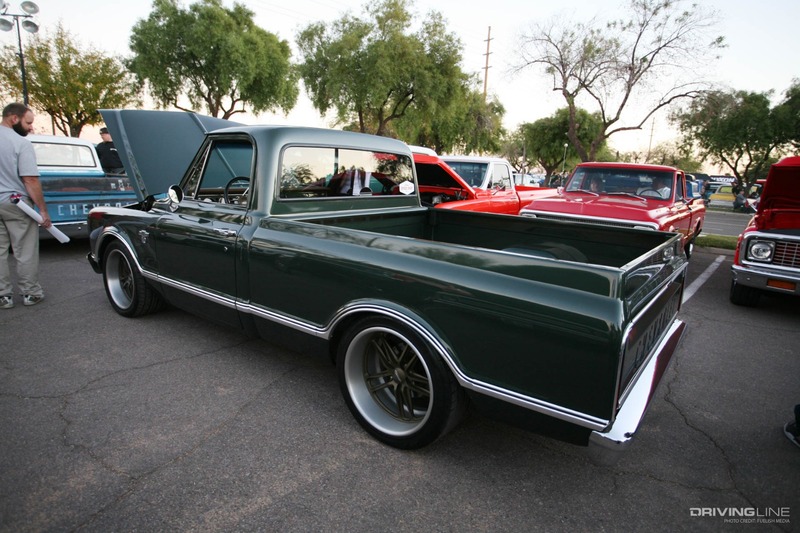 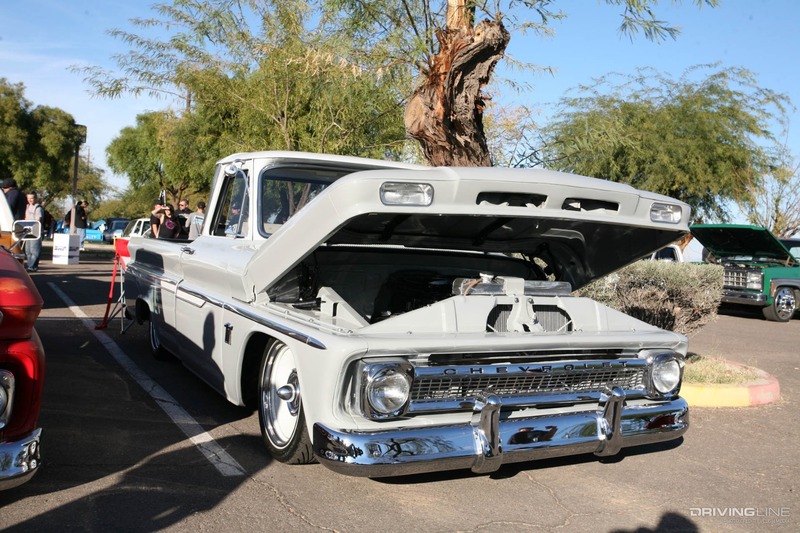 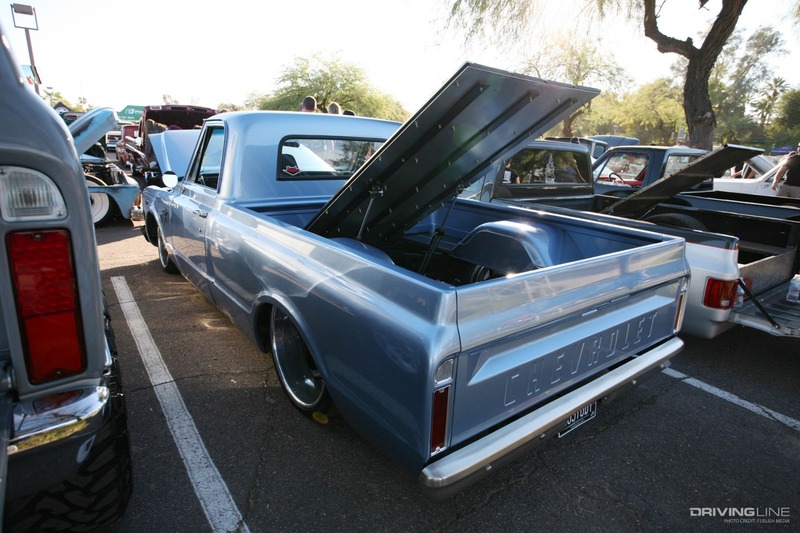 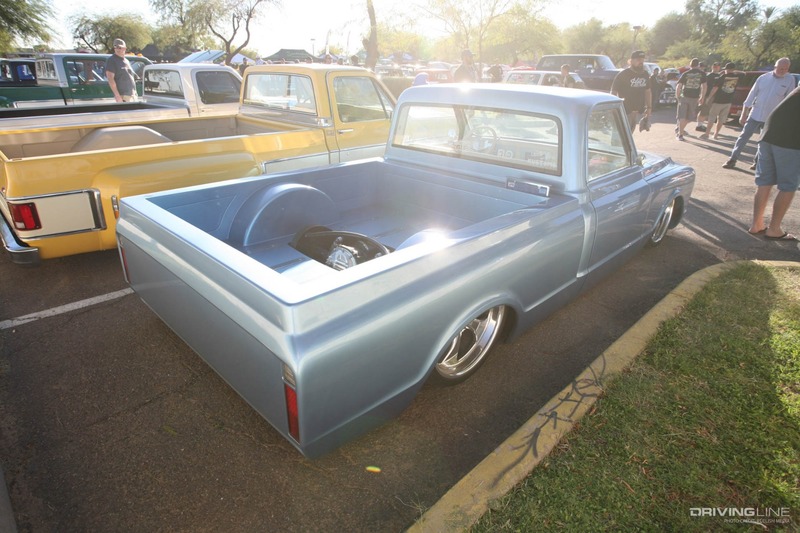 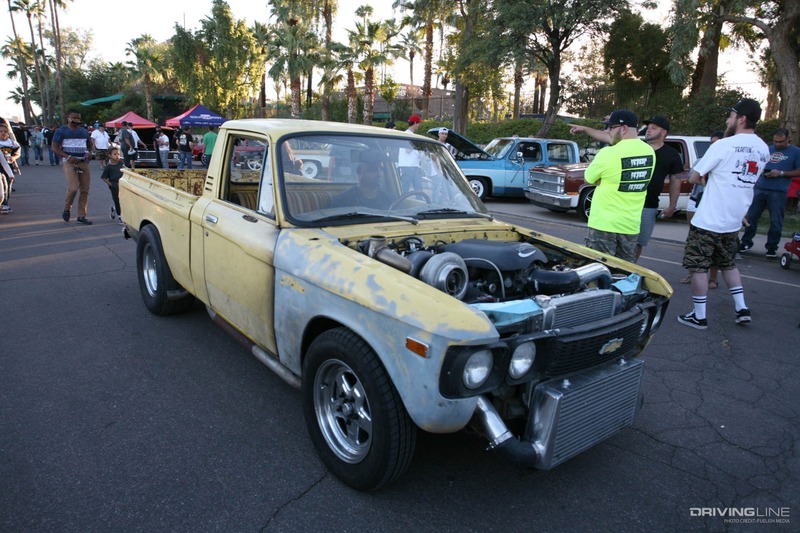 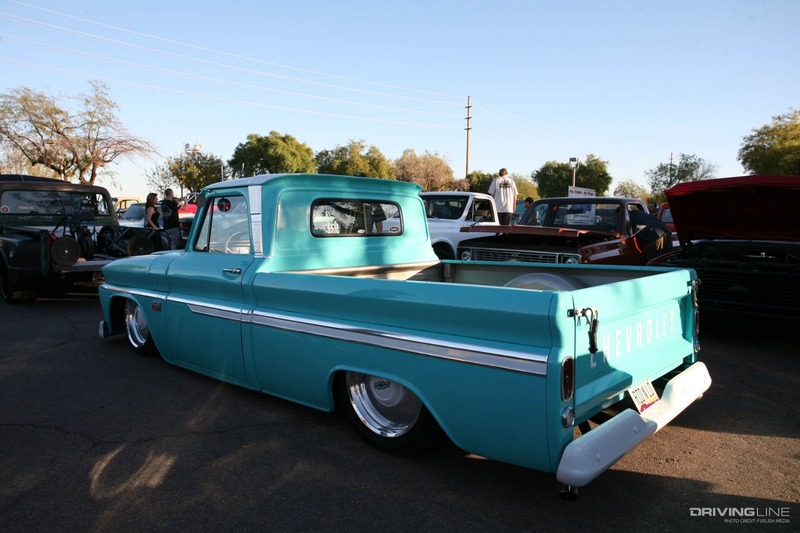 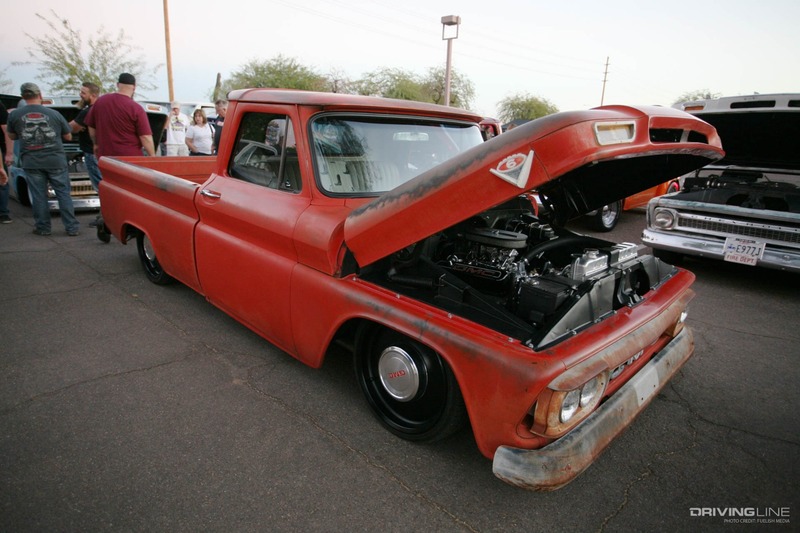 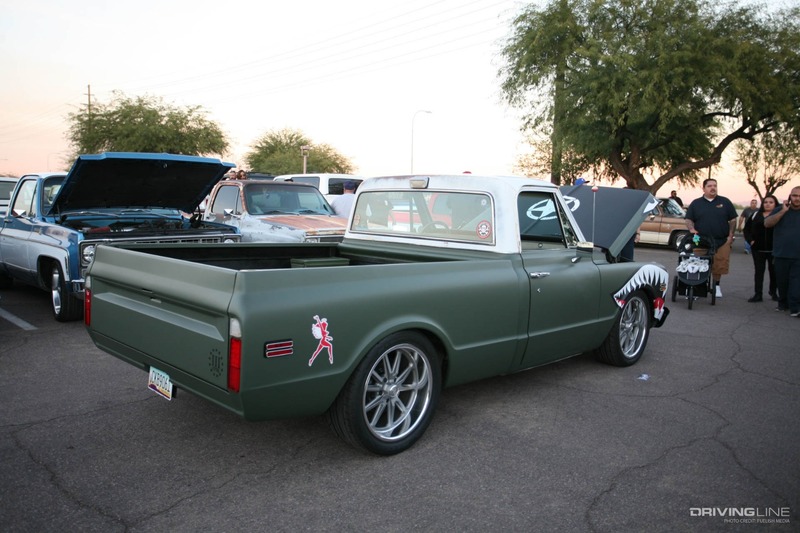 Over the last few years, the classic truck scene has grown to epic proportions and events like Dino’s Git Down are giving fans a place to gather. 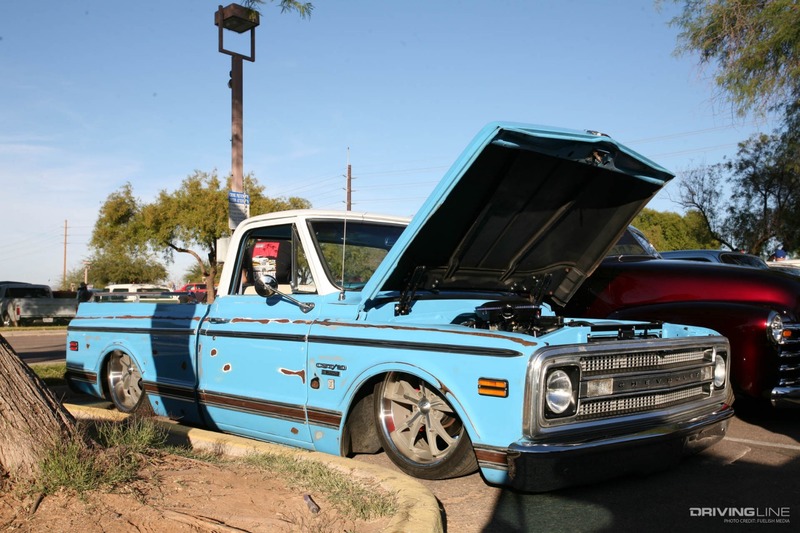 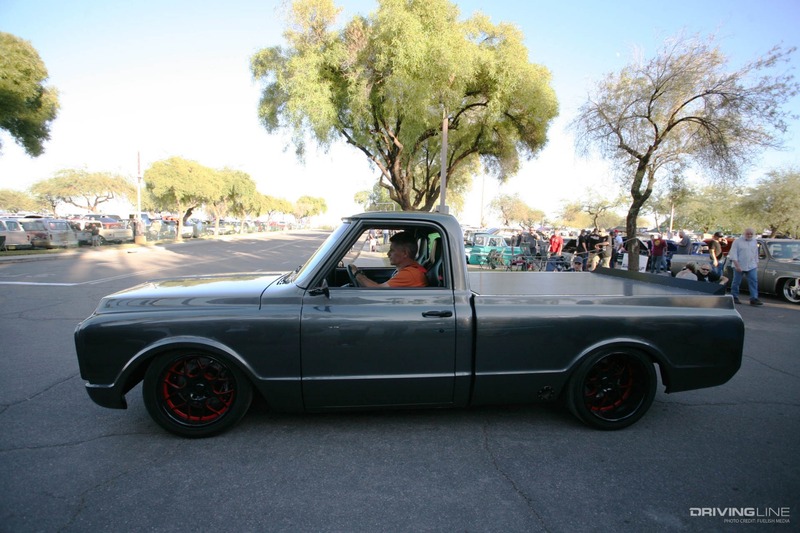 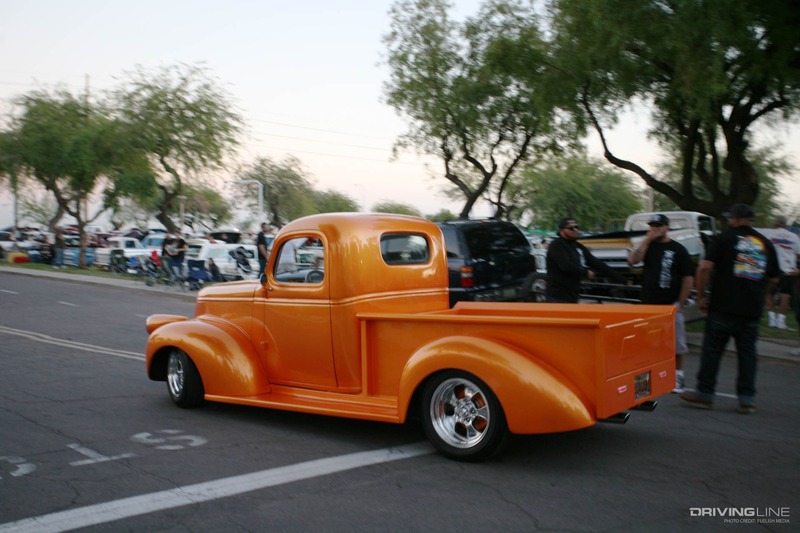 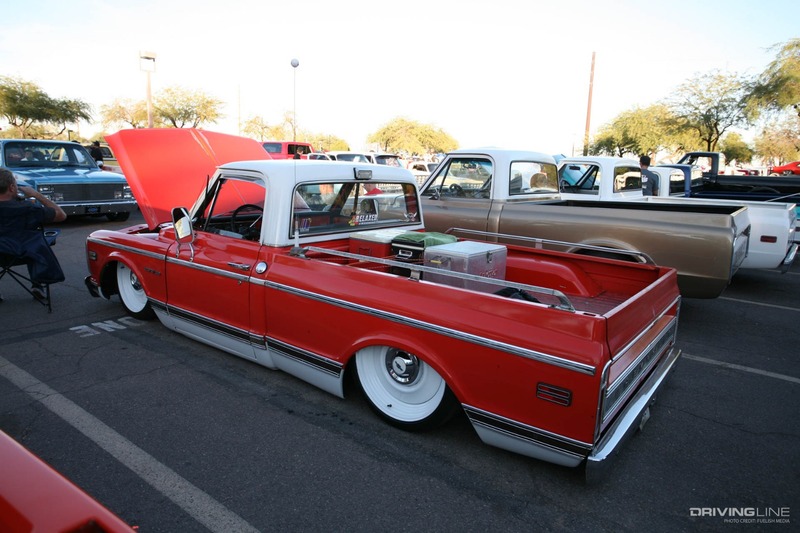 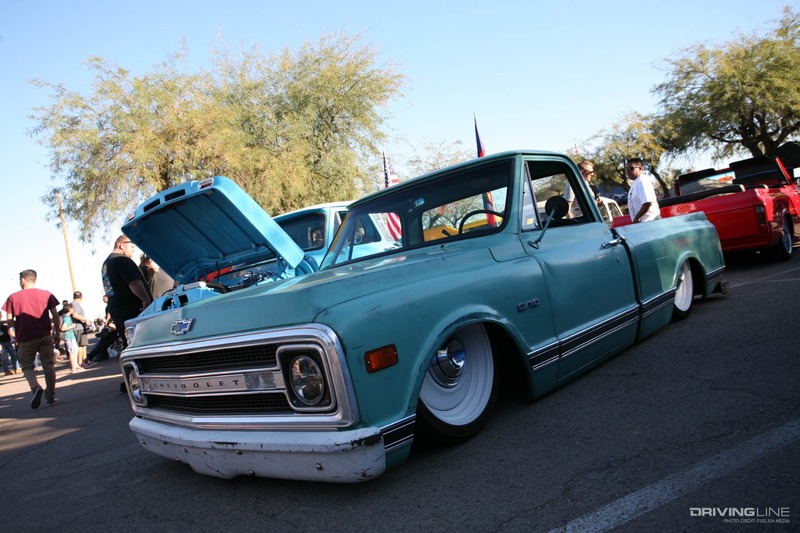 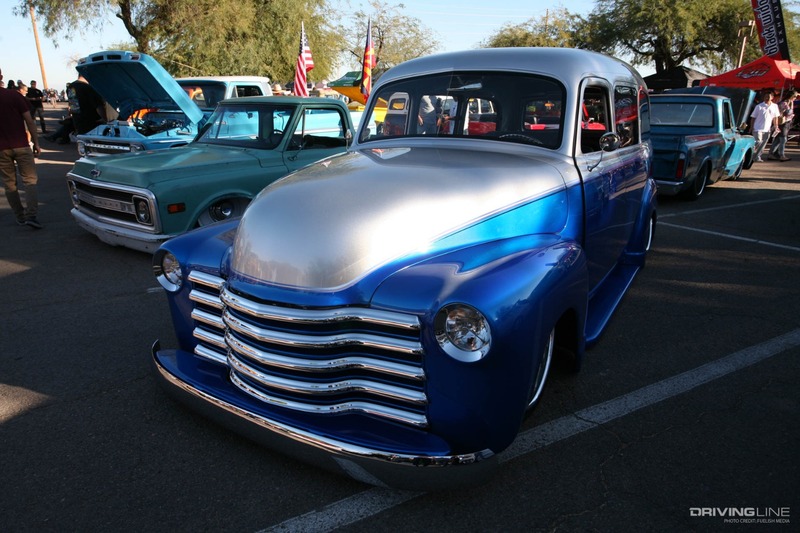 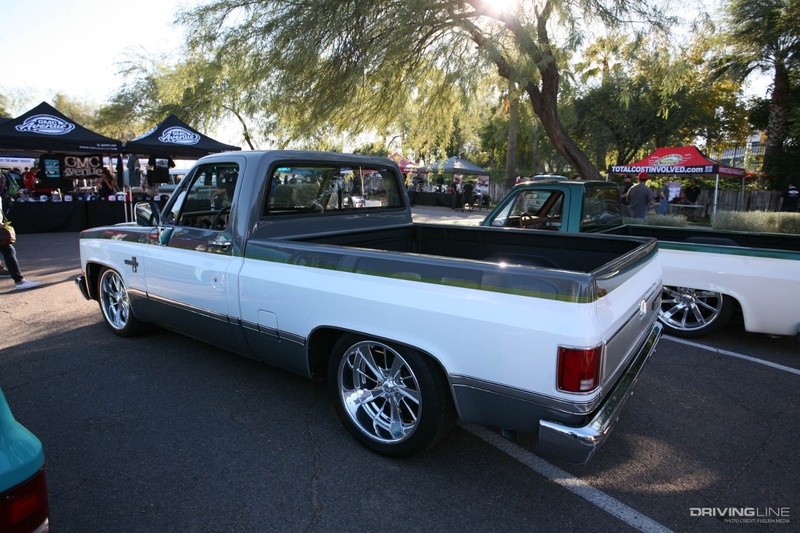 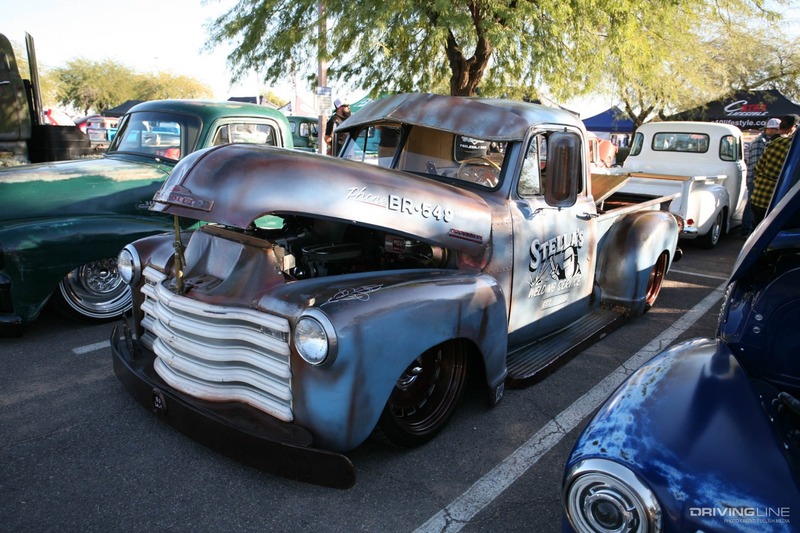 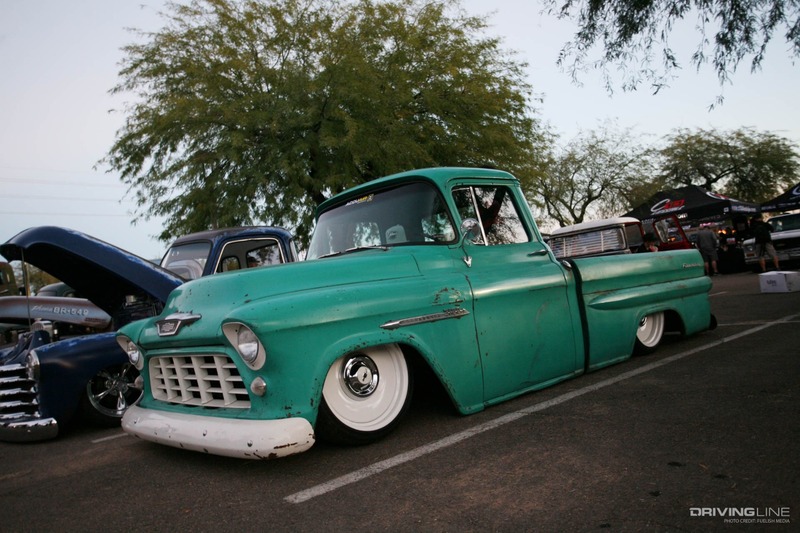 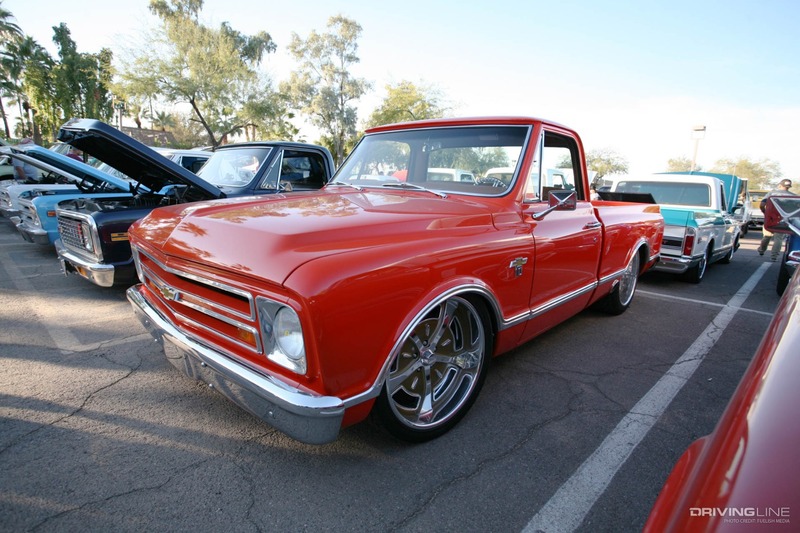 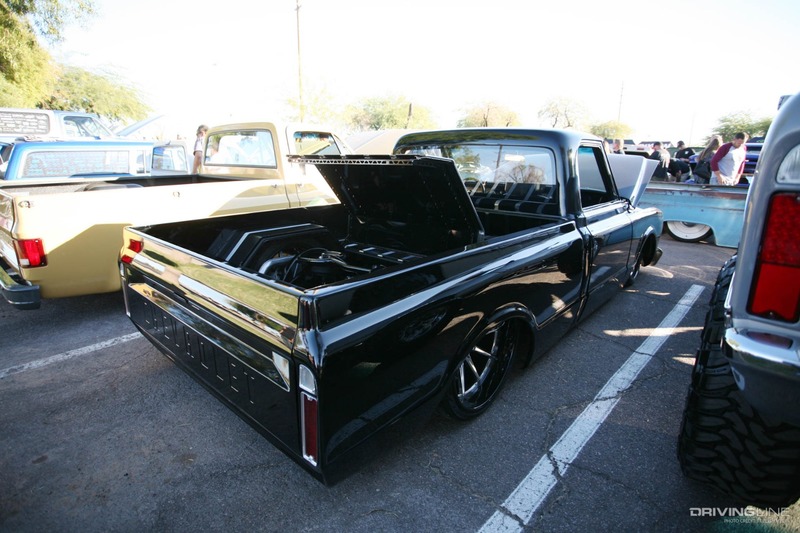 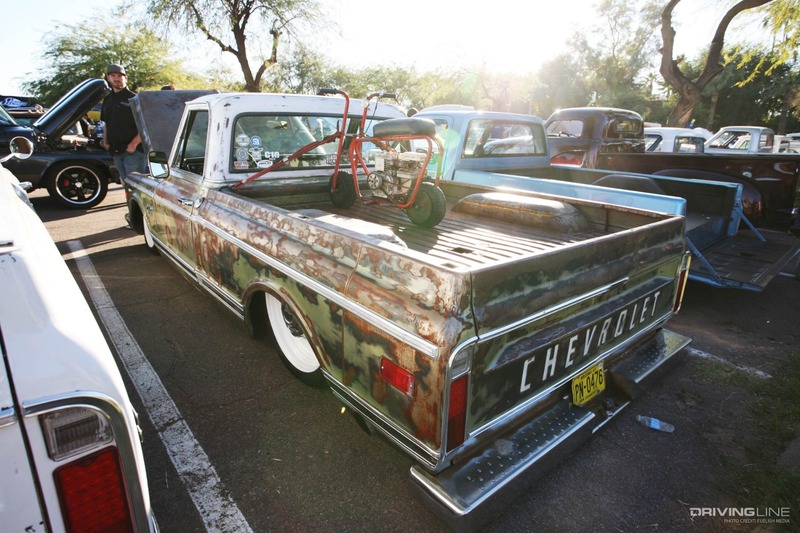 It’s no secret that these trucks have gained a lot of popularity, and it's no surprise to see dedicated truck events pop up. 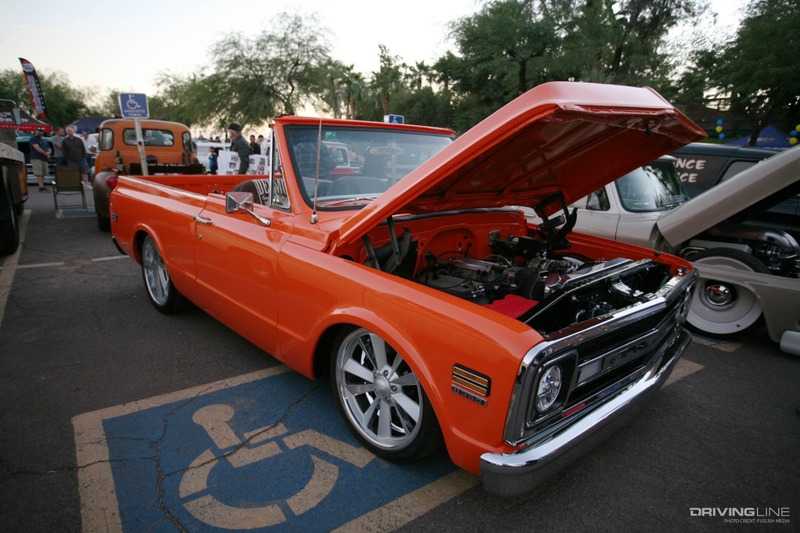 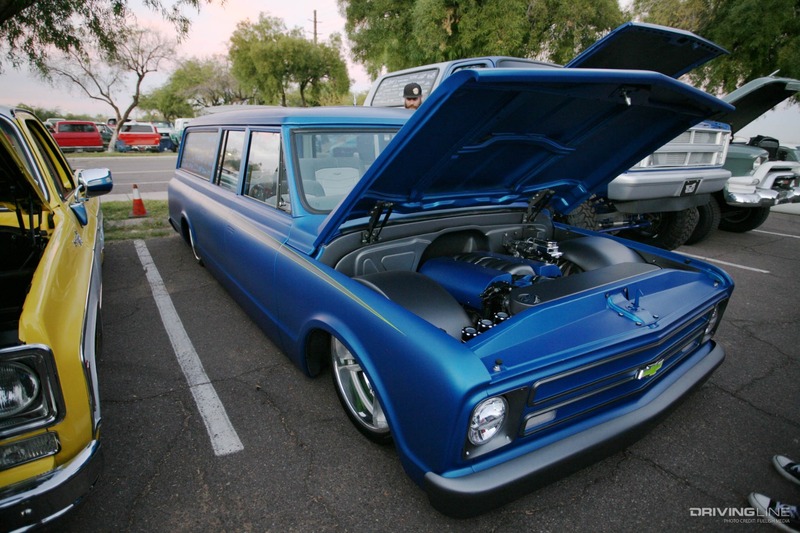 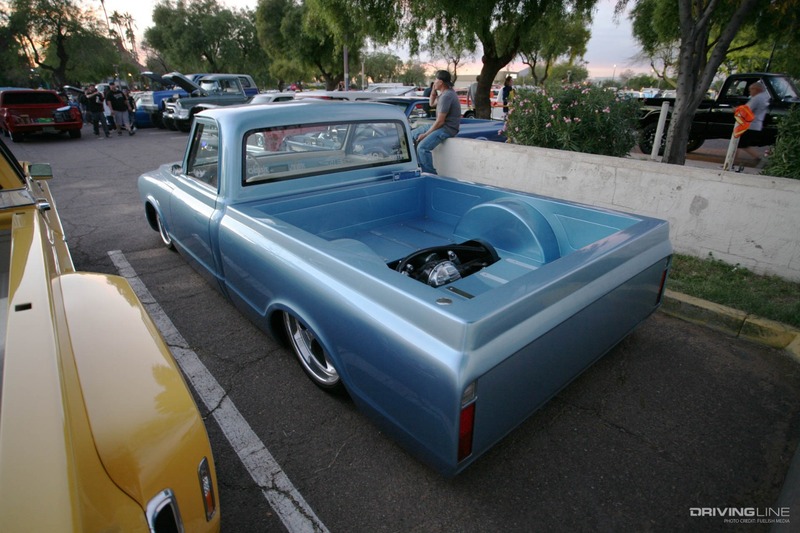 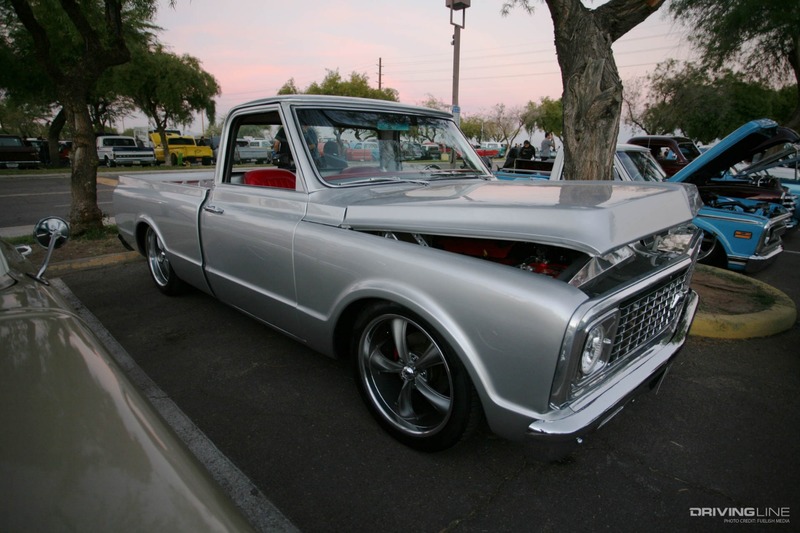 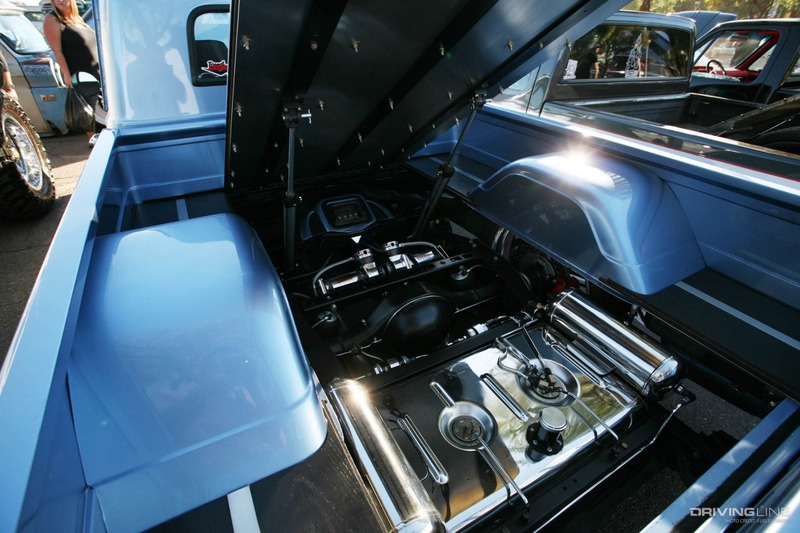 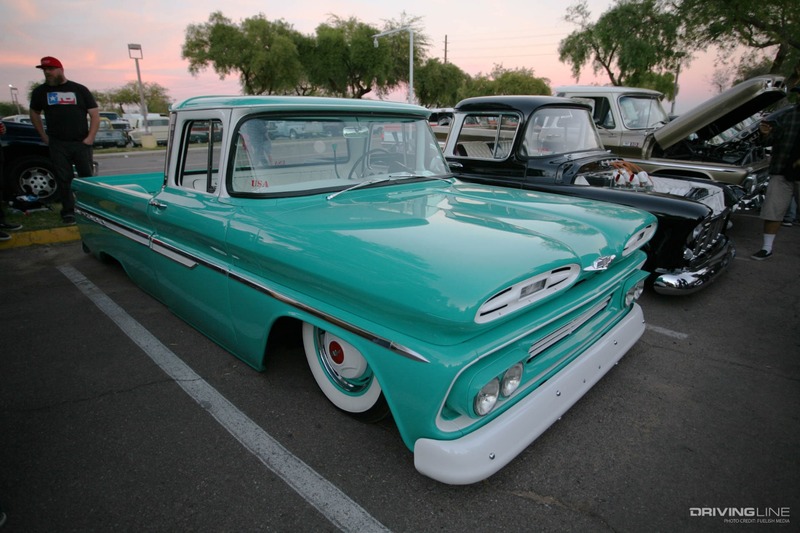 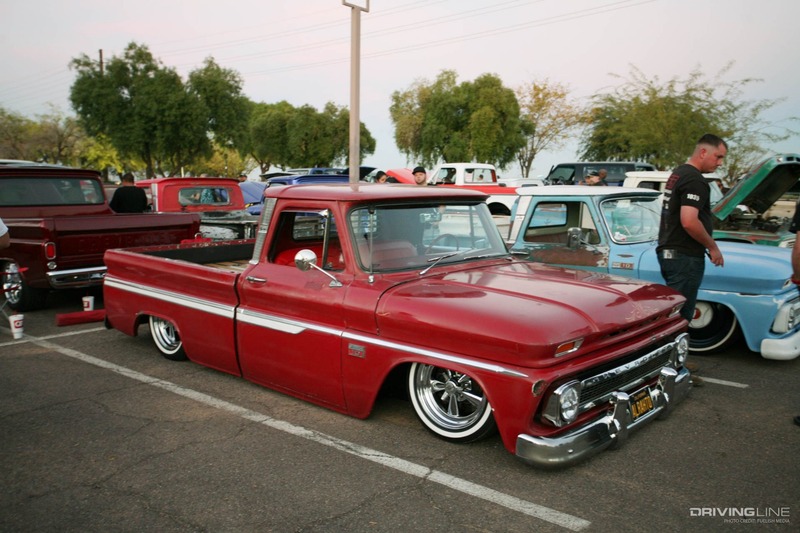 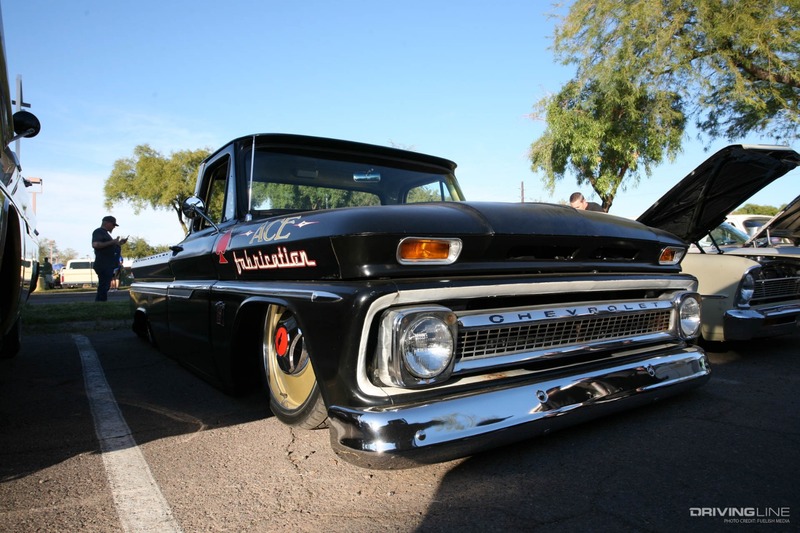 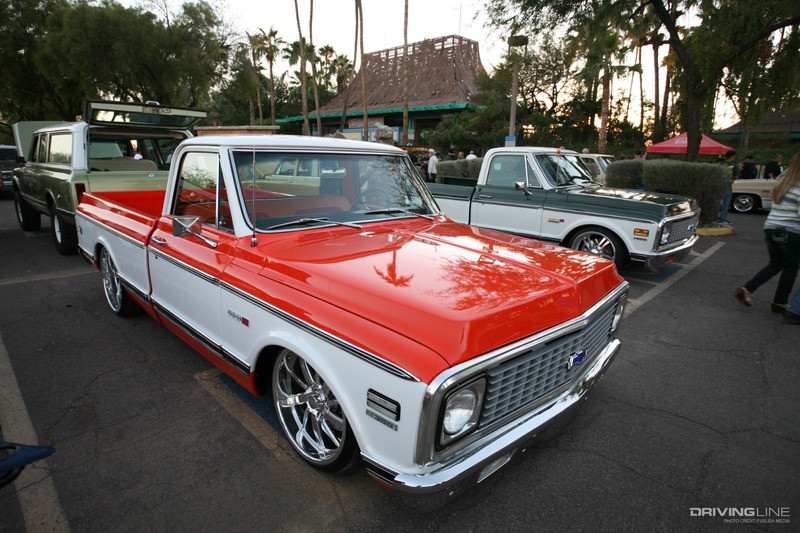 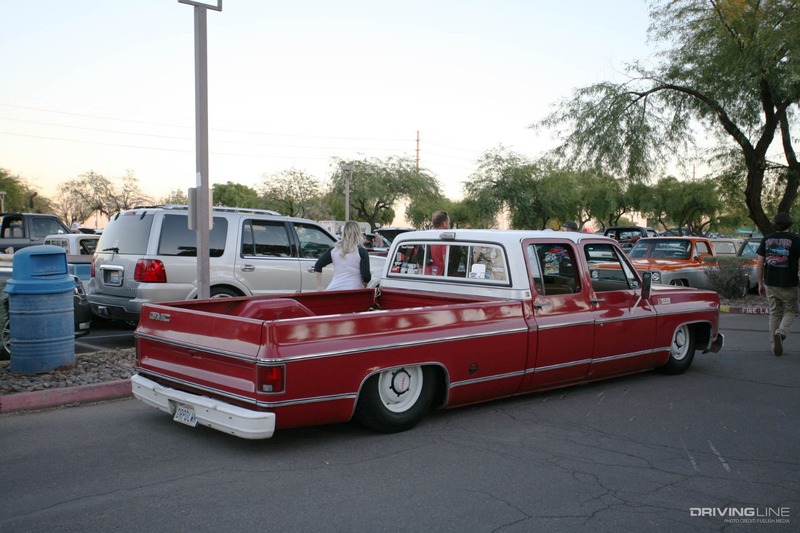 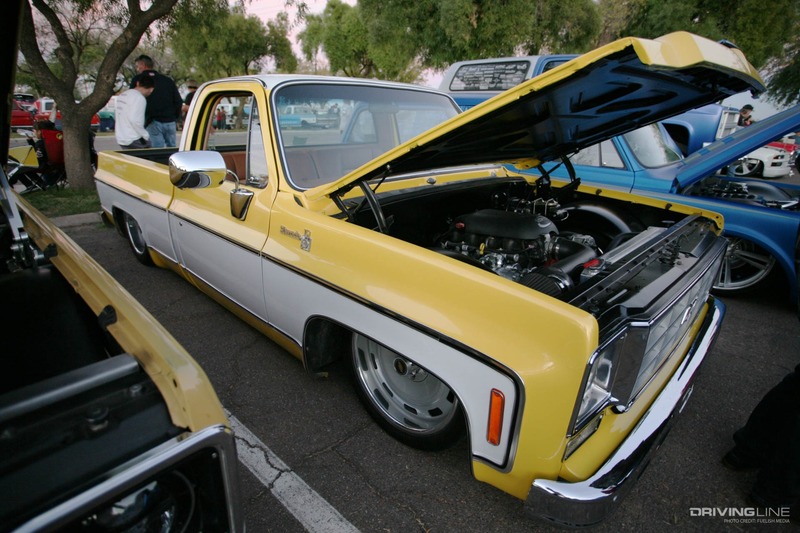 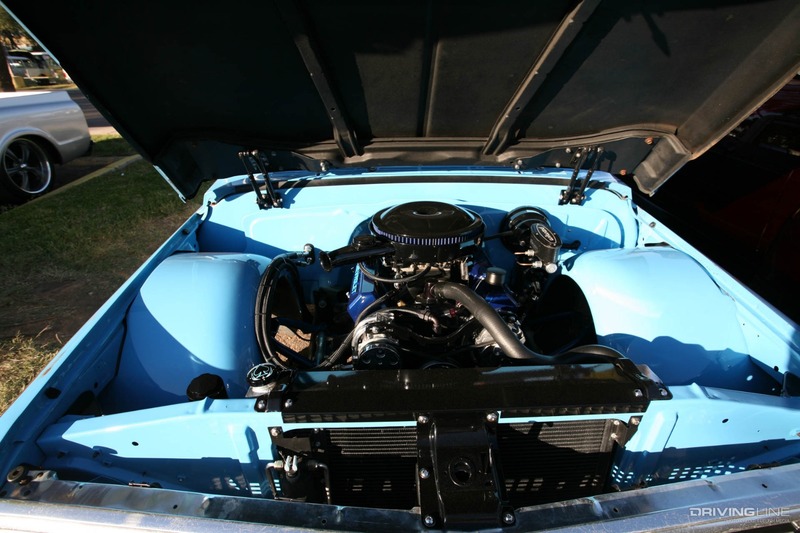 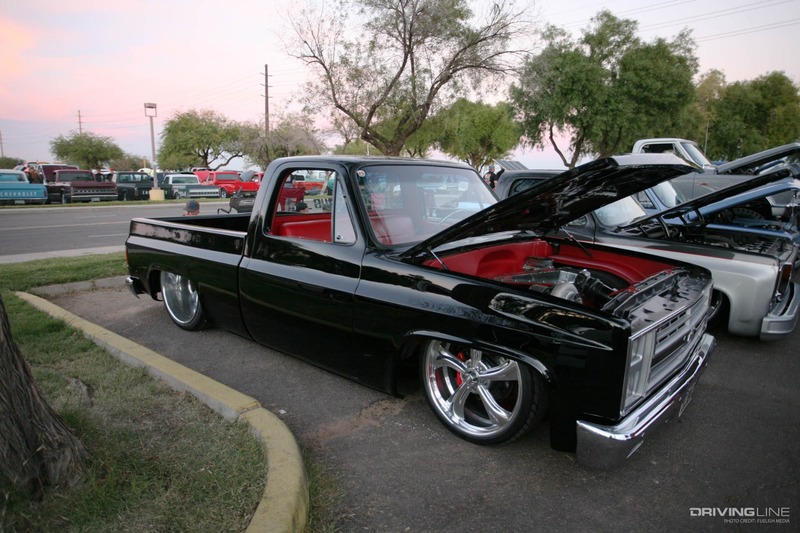 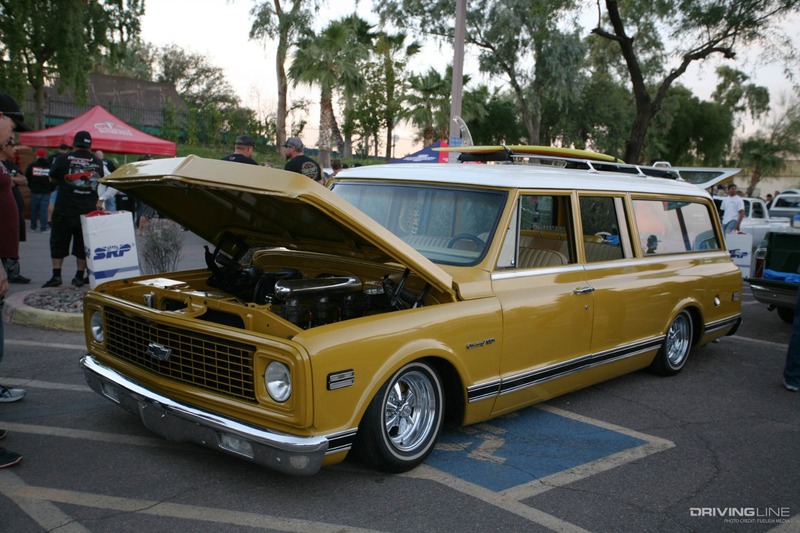 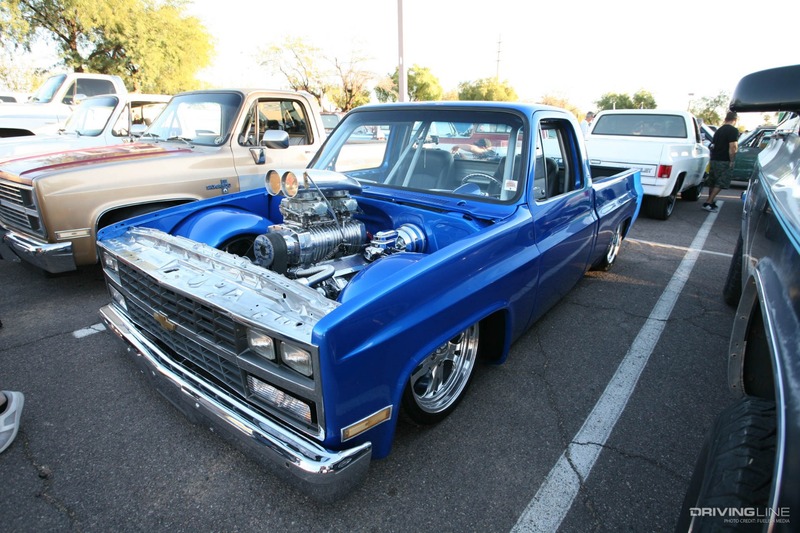 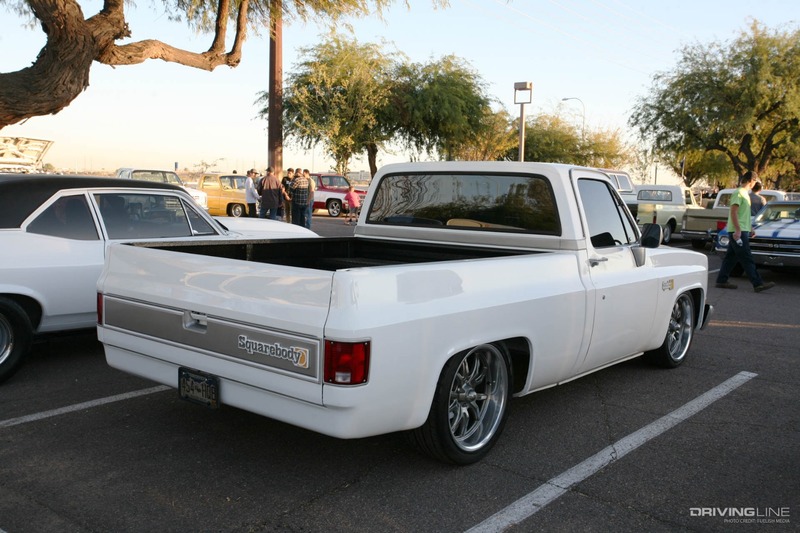 It all started about a decade back when Chevy trucks of the '60s and '70s were affordable and aftermarket companies first started offering custom parts for them. 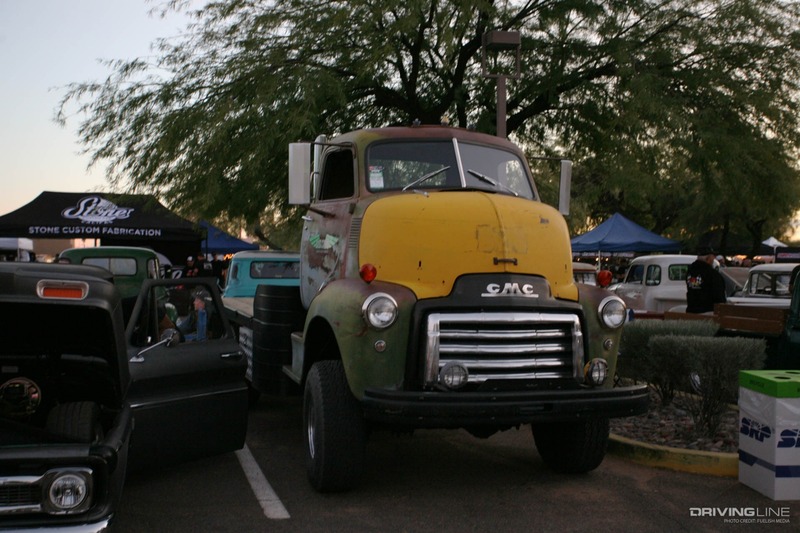 With a few pioneers to lead the way, these trucks became highly popular and are still gaining attention. 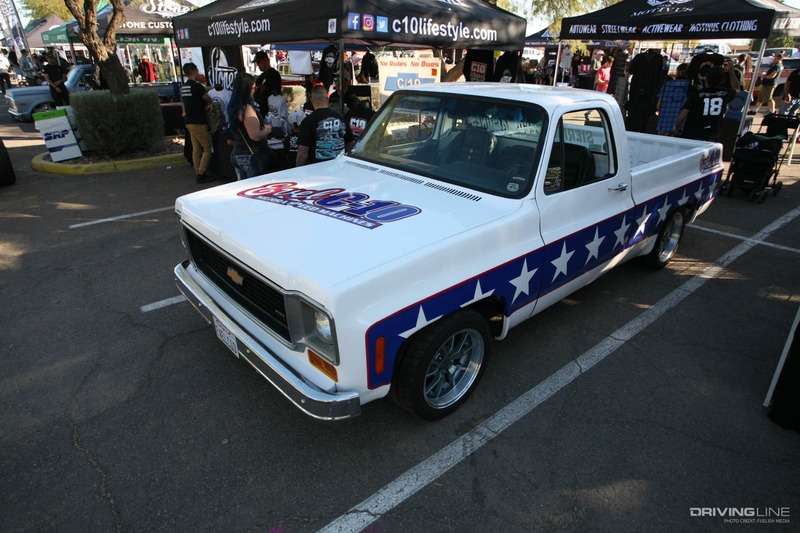 One of the biggest names in the scene is Dino Battilana, as he helped launch the revolution. 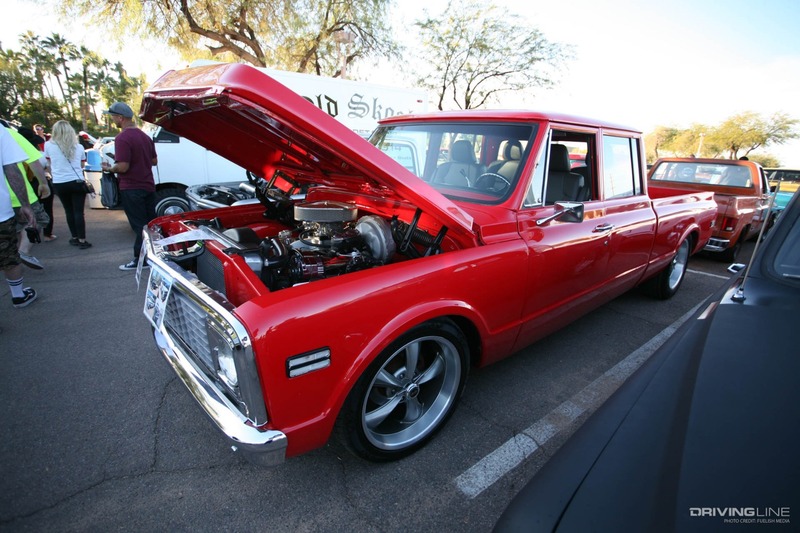 Though he owns and builds several Chevy vehicles at any given time, it is only a hobby as he runs an appliance repair shop in the Phoenix area. 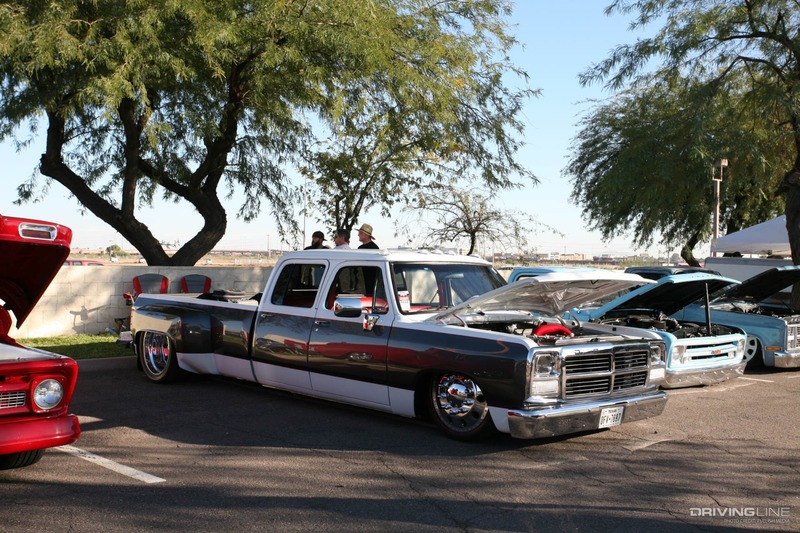 If you were to ever meet the guy, you would find out that he is a big Italian fellow that is welcoming to all. 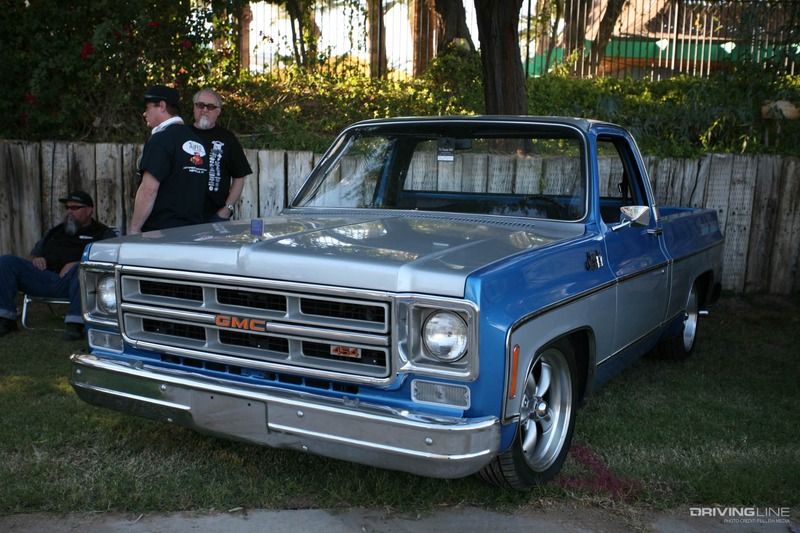 It was this friendly and hospitable attitude that formed what we know as the Git Down. 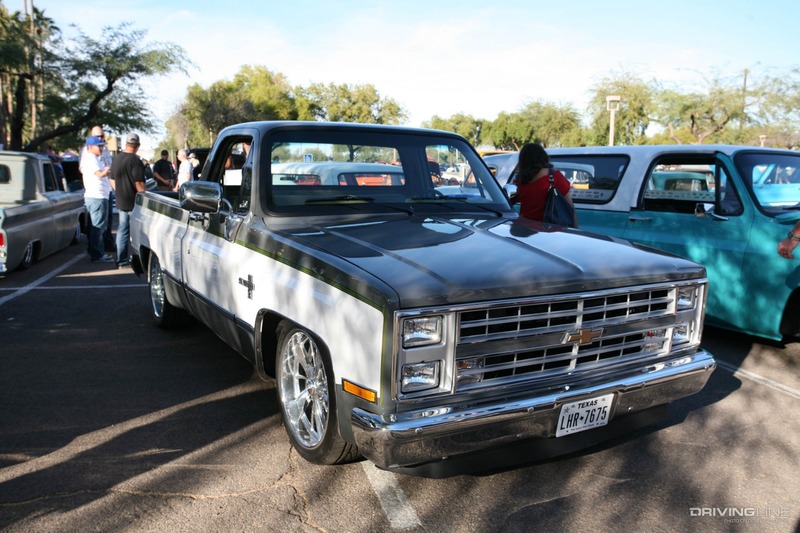 Years back, Dino would play host to a small get-together for fellow Chevy truck fans before the Goodguys Southwest Nationals. 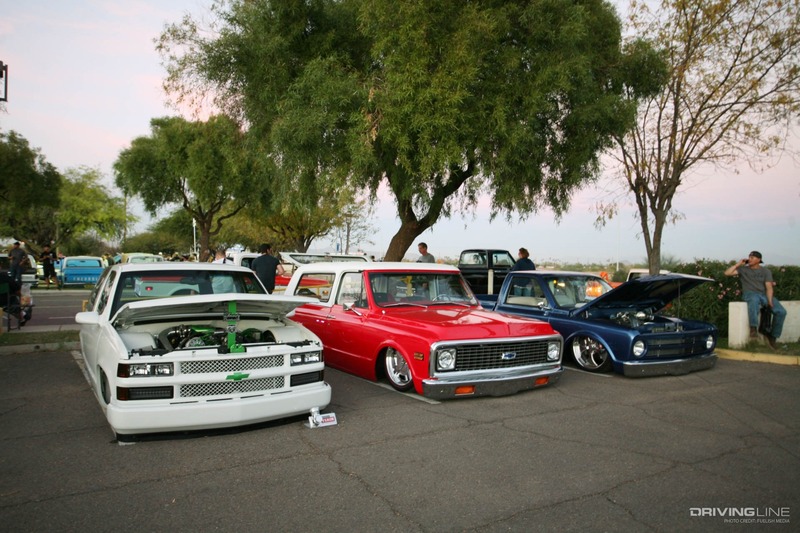 As the word and invitations spread, the size of that gathering grew rapidly. 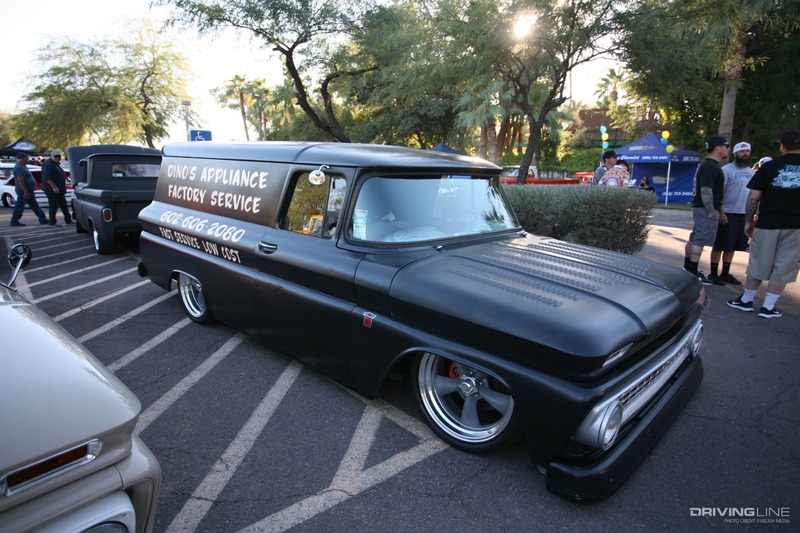 Dino initially moved the event to his appliance repair shop, where it went on annually. 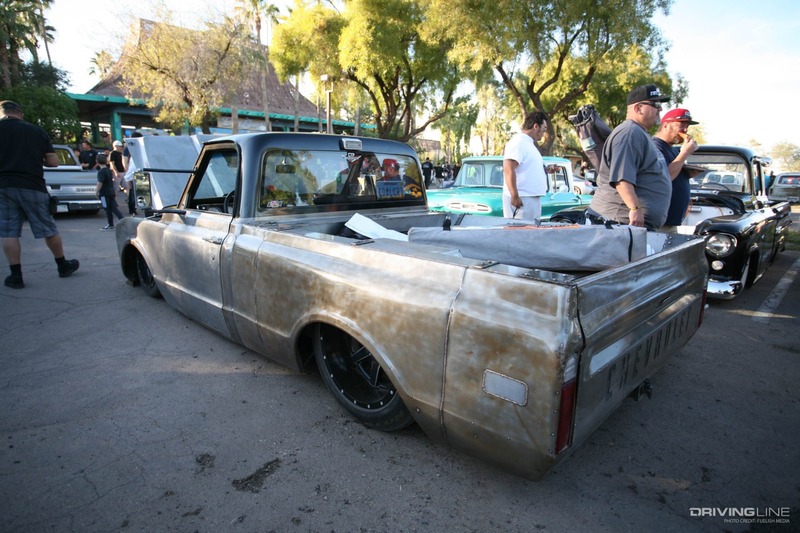 Though the shop was off a main street, it was surrounded by a neighborhood where space was limited. 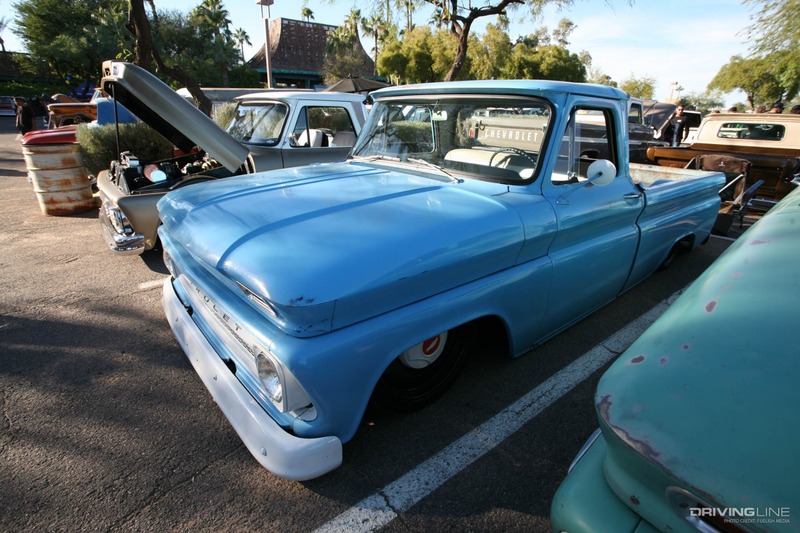 It seemed with every passing year, that the amount of vehicles and people in attendance kept increasing steadily. 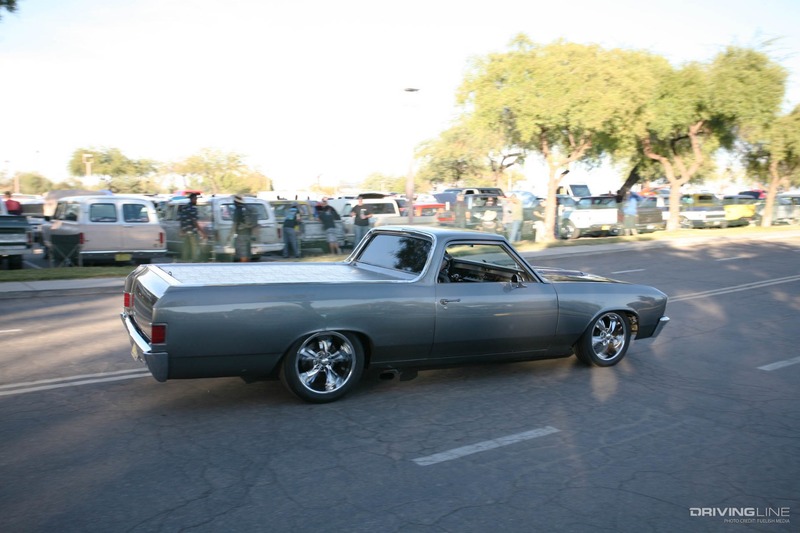 To help more people get in on all the action, Dino made the call to have the 2018 event at another site. 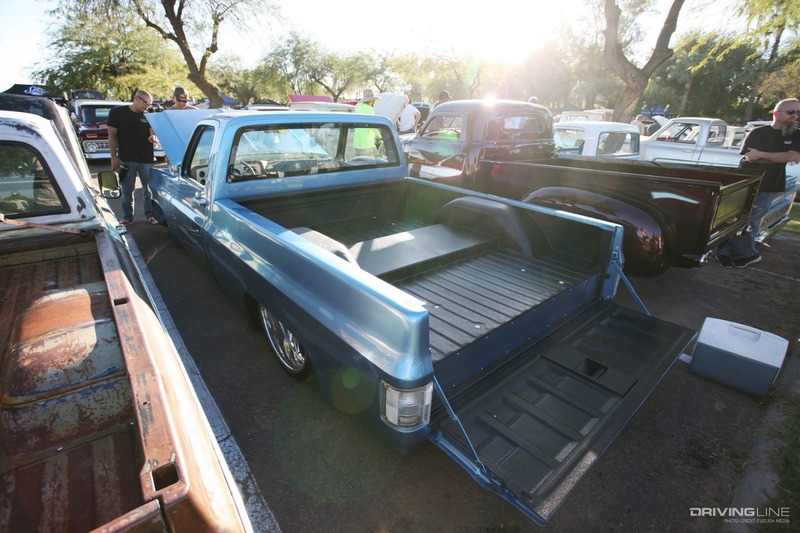 Big Surf waterpark was chosen for the new venue, as the parking lot seemed to have plenty of room for this event. 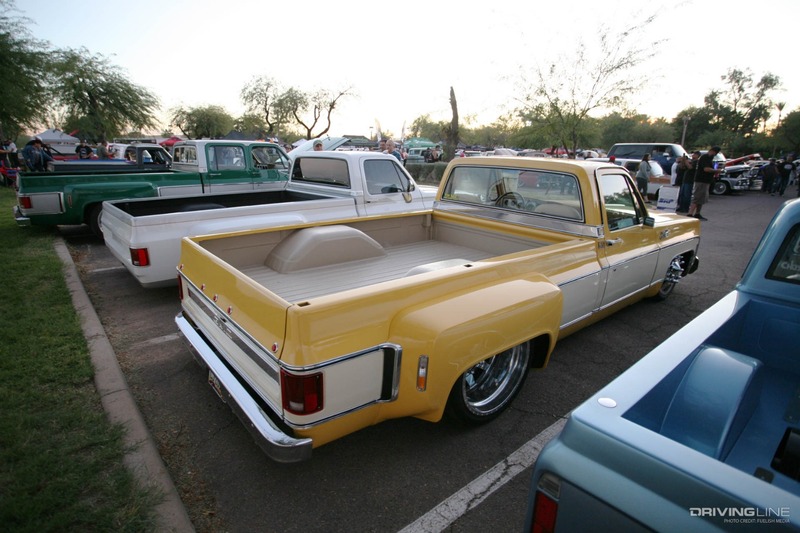 Though it has moved, Dino still wanted to keep a few things the same. 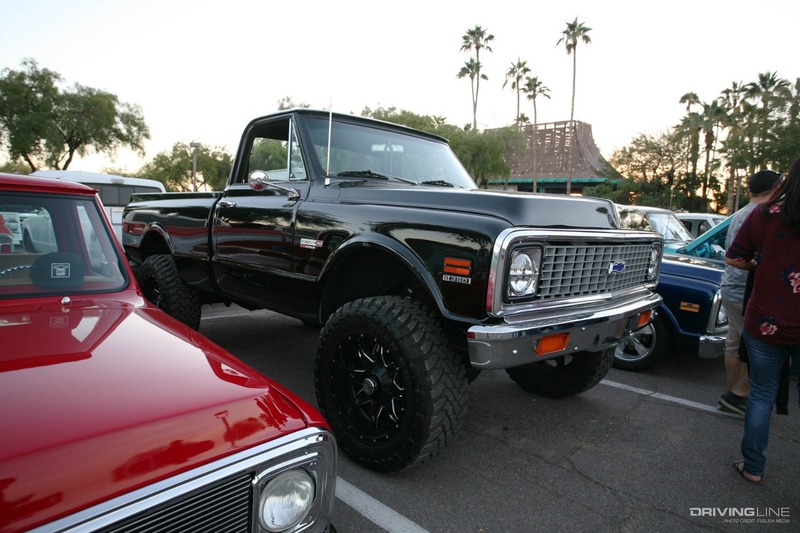 Since the beginning, the gathering has been free and he feeds everyone dinner. 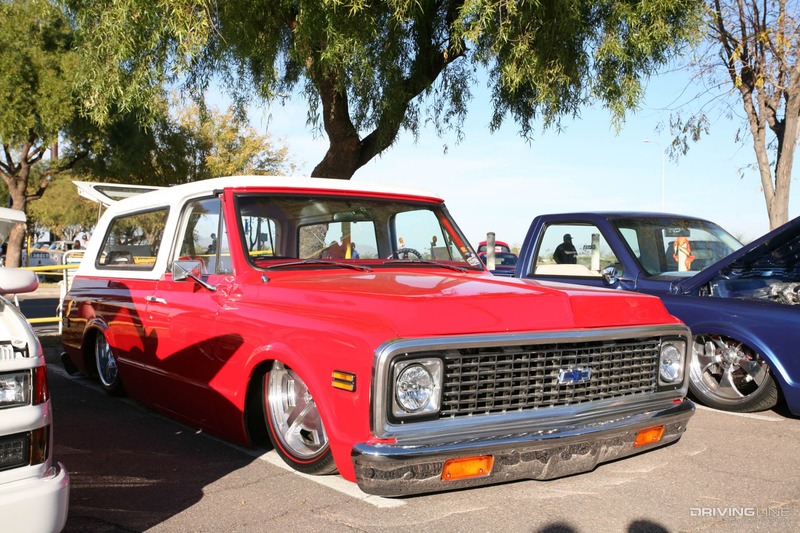 That’s a big standard to uphold given that the 2018 Git Down held on November 16 had about 700 vehicles, with thousands of spectators. 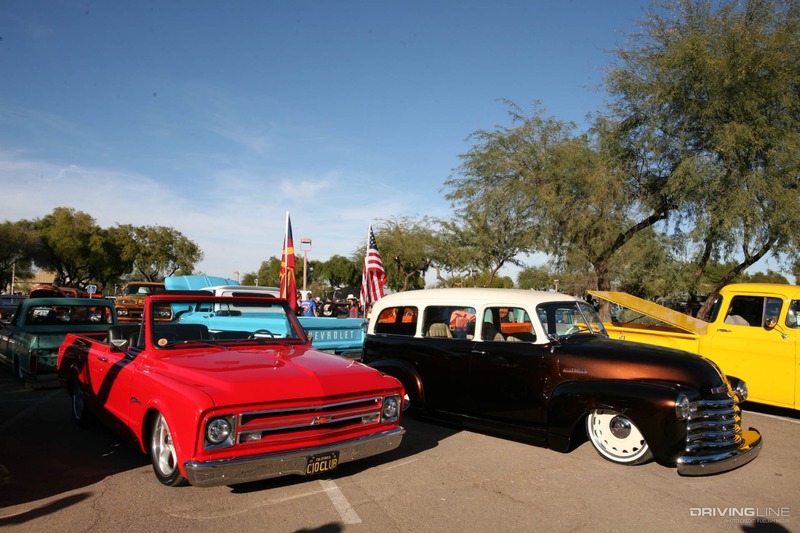 The new and improved show was an absolute success and there were very few hiccups that arose. 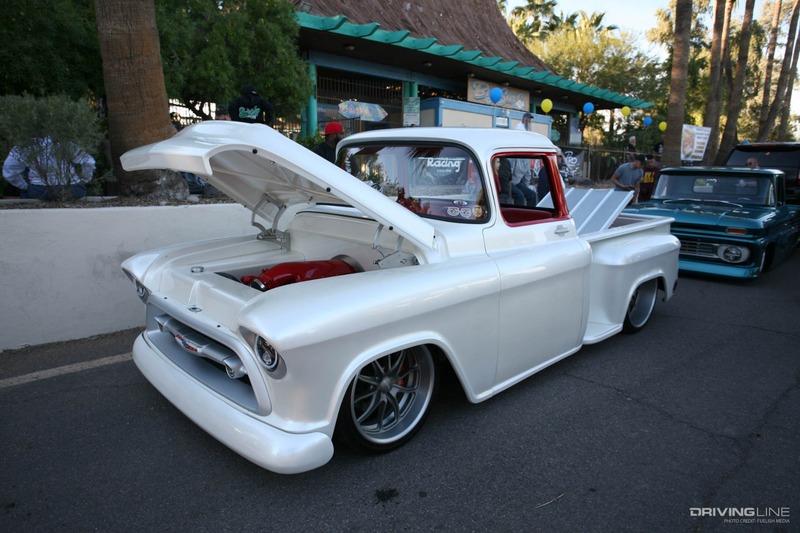 With the kinks worked out, Dino is already making plans for next year. 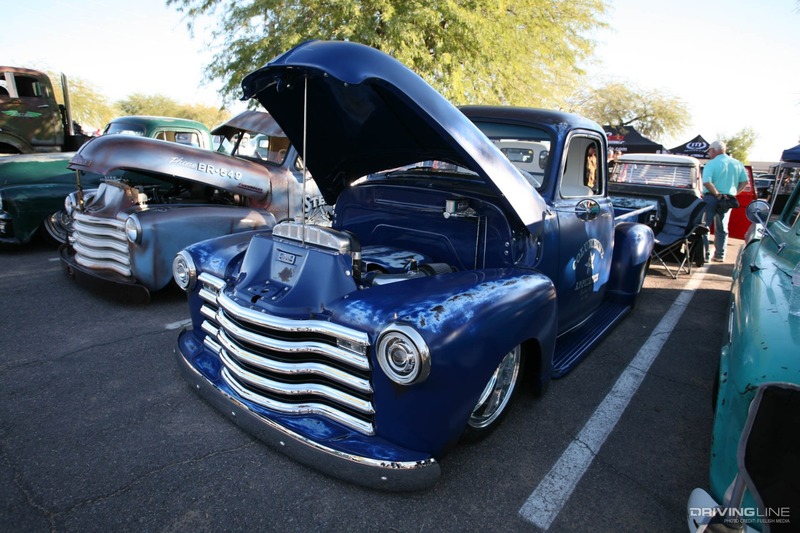 This event is a blast to attend and the mood is always on the positive side. 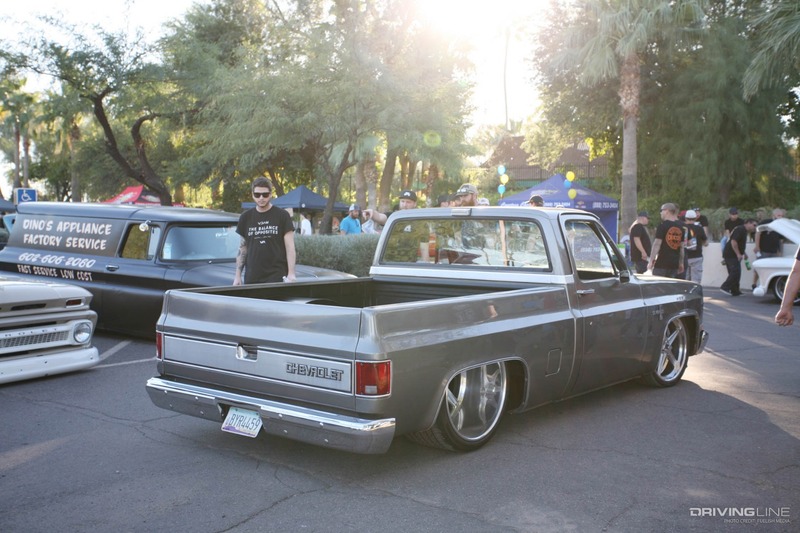 Each year, we look forward to the Git Down, as the relaxed environment has never let us down in having a good time. 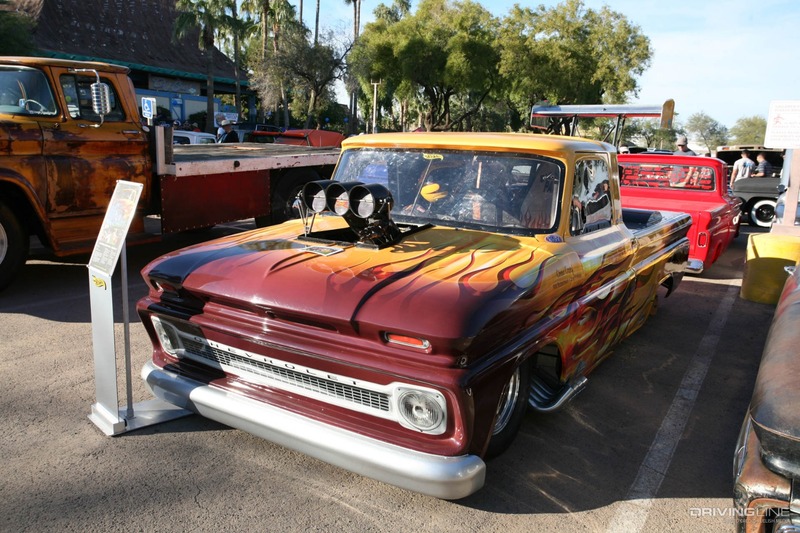 For info on next year’s event, follow @dinoschevyonly or visit www.dinosgitdown.com. 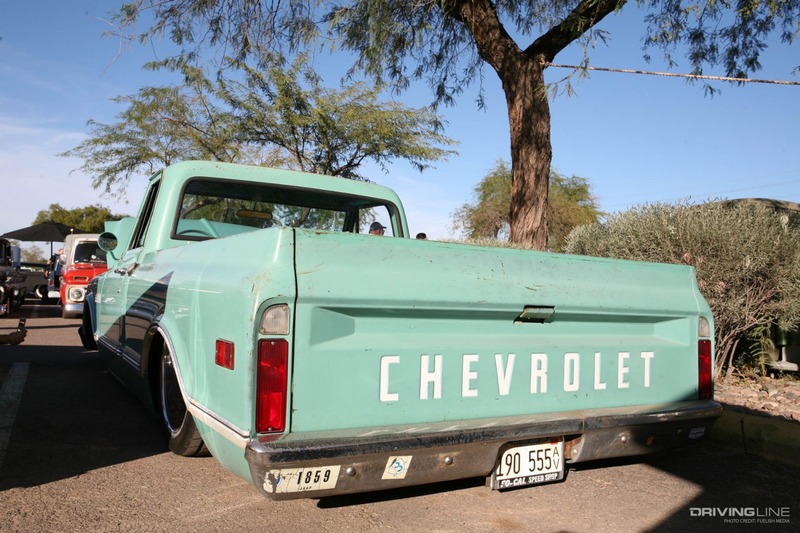 Chomping at the bit for more Chevy trucks? 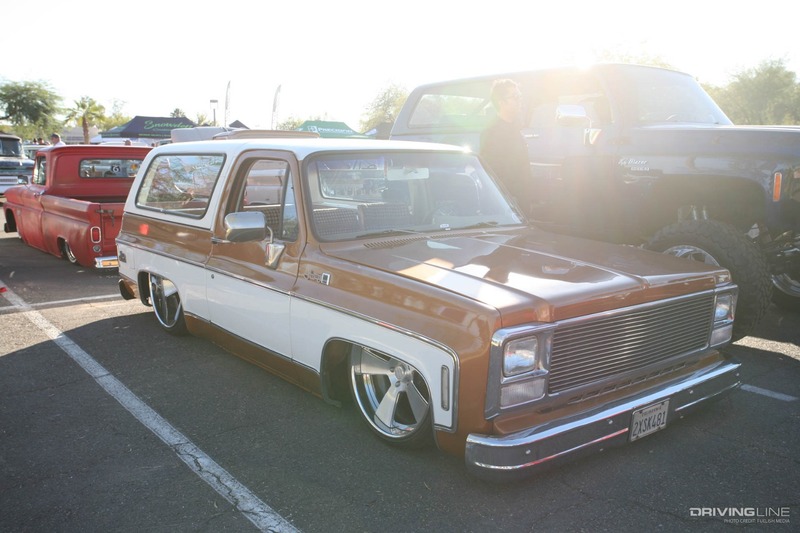 Take a look at this budget boosted C20.